"Here's a lesser known fact that many shirtmakers keep under their hat. Poplin, fabulously lightweight and crisp as it is, is rather prone to a crease and a crinkle. 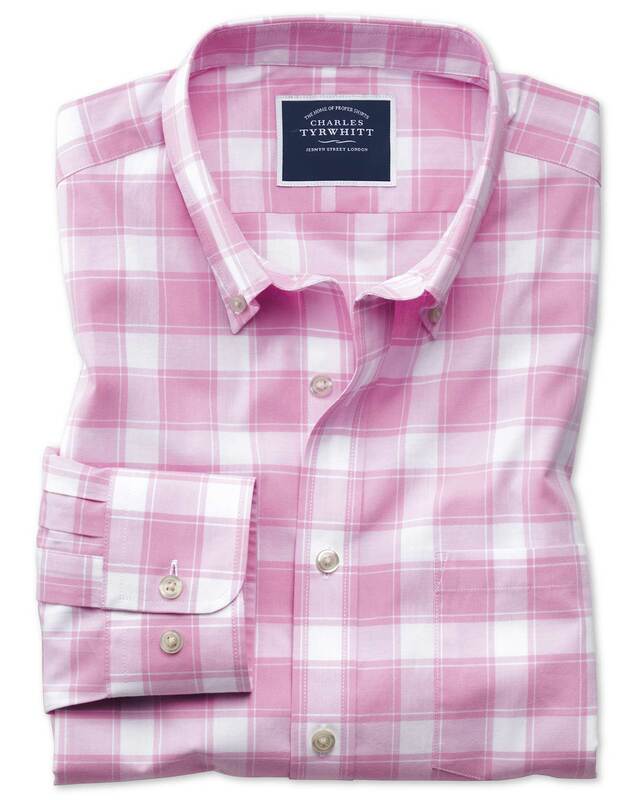 Luckily, our legendary non-iron finish not only puts your iron out of business, it keeps the shirt immaculate all day long. Fancy that!" "Crisp yet cool, strong yet smooth, poplin is the go-to lightweight shirt cloth for good reason." Again, the quality of this shirt blew me away! Good material (although a little thin - so 4 stars) well put together - should last a while. Quality.product from a class retailer.